It took it’s sweet time, but winter has finally arrived. The temperatures dipped to about 29 degrees last night and in the morning everything was covered in a nice layer of frost. Sadly, this means saying good by to the pepper plants. I hope to plant some more pea plants in their place. The chard is slowly starting to fade. I can’t say that I’ll grow it again. I just don’t have a lot of use for it. I’d rather experiment with something new next spring. I’ve been happily circling the recent seed catalogs with interesting new plants. Most of my flowers are gone but I do have a few stragglers. They look so nice this morning with a dusting of frost. Pretty pics! 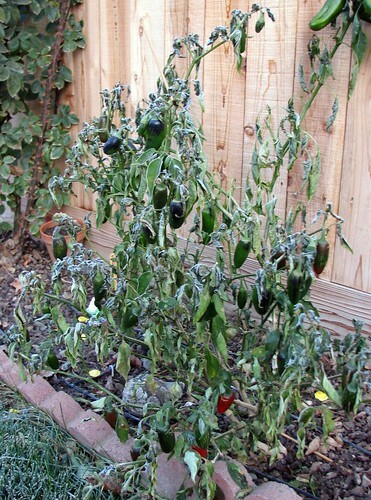 Sorry for the demise of your peppers. They stopped here in September, I think, so you had a good (climate) run. 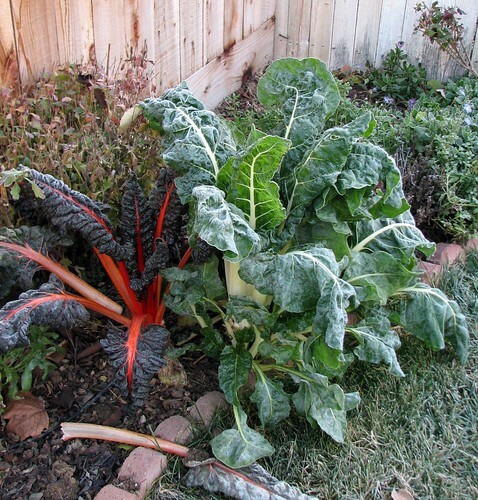 I love to grow chard but agree that I don’t often actually use it. It’s more of an ornamental in my garden, it’s so pretty! I even love it when it bolts in the spring and grows 5 ft. tall! Awww…goodbye summer! Good thing we live in Cali where we can start growing again in February, hehe. 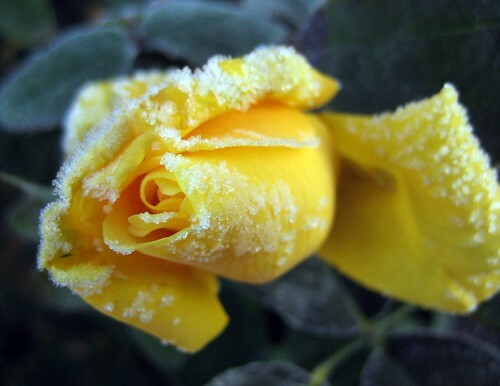 That rose picture is the prettiest frosted flower I have ever seen. 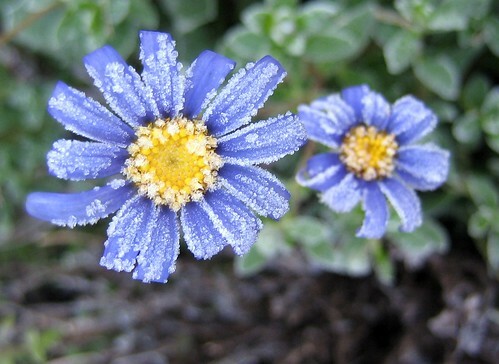 I know the frost does so much damage but it looks like a winter fairyland on those beautiful flowers!! Beautiful shots!! OMG! 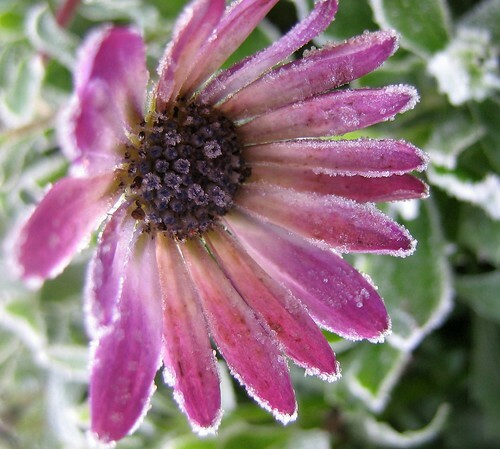 Those icy flower pics are stunning…esp. the yellow rose!